Americans spent at a record pace this holiday shopping season, according to a report from MasterCard's SpendingPulse. That's good news for retailers that need to finish strong after a difficult year. It's the biggest percentage gain since 2011, when the economy was still coming back from the Great Recession. "While online is important and it's growing, it is dwarfed by what occurs in the physical stores," she said. "The brick-and-mortar growth drove this holiday shopping season." Still, the ever-growing shift to online shopping has battered many traditional retailers. The number of store closings more than tripled this year to nearly 7,000 -- a record. 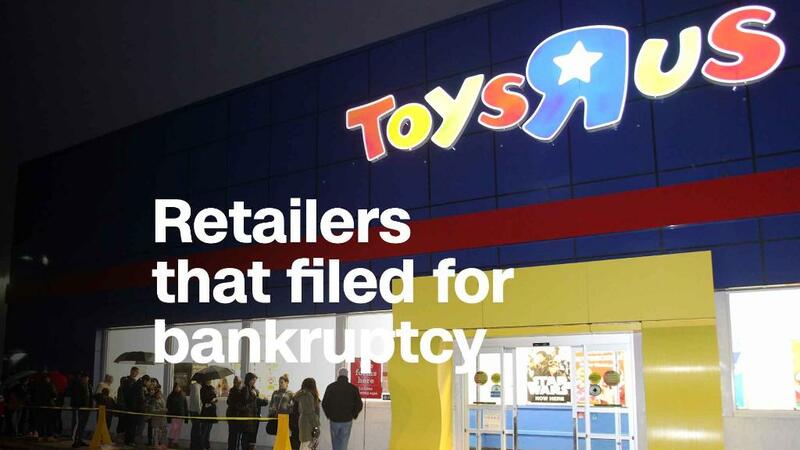 Bankruptcies jumped 30% compared to last year. But MasterCard's numbers suggest that the shopping season was even stronger than had been expected. The National Retail Federation, the industry trade group, and other experts estimated about a 4% increase in sales this year. Shares of Macy's (M) are up 33% since their pre-Thanksgiving close, and Kohl's (KSS) is up 29% -- including a 6% jump Tuesday. Gap (GPS) has increased 20%, while shares of Target climbed 15%. Shares of the struggling retailer J.C. Penney (JCP) have even managed a 3.4% gain in the past five weeks. Not every retailer has reaped the benefits of a strong holiday shopping season. Sears Holdings (SHLD), the owner of Sears and Kmart brands, has continued to slide. The company has warned that there is substantial doubt about its ability to stay in business.